The Eagle Tears gun care bundle includes our Eagle Tears Gun Oil, Gun Solvent, and a tube of our convenient Gun Oil Paste. 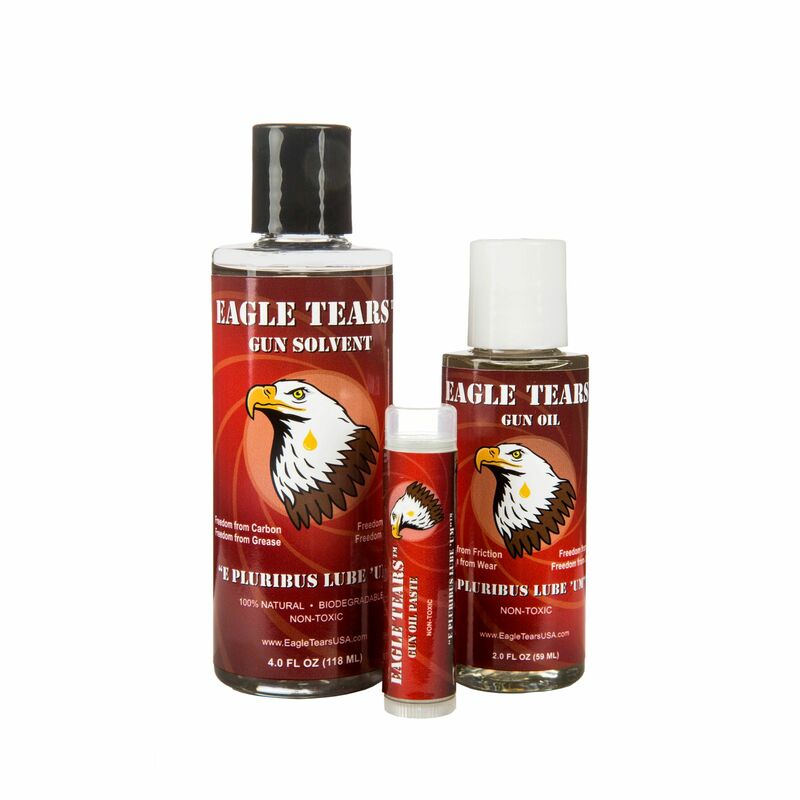 Eagle Tears Gun Solvent is made from distilled citrus oil and a proprietary blend of emulsifying oils. Eagle Tears Gun Oil is free of harmful toxins and is non-carcinogenic. Eagle Tears Gun Oil Paste can safely be used as a lip balm. I want to take a moment to thank you for making such a superb product as Eagle Tears. In almost 40 years of military service and big game hunting I have never used a better product. From traditional black powder to modern propellants, from the Appalachians to the desert of Iraq, it outperforms all others. Thank you for making such a fine American product.